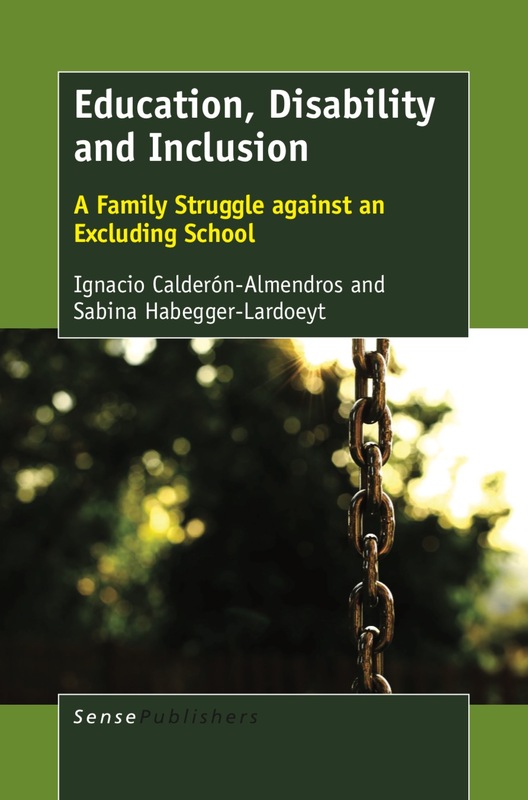 The book is a narration of the education experience of Rafael Calderón-Almendros (First person with Down syndrome to obtain the Professional Music Degree in Spain) and his family in a confrontation with his school at the end of his compulsory secondary education stage. After Rafael had been a student in the centre ever since the start of his education, the institution lost its sense of education and denied the student his rights. To that end, schools use underlying segregation strategies, legitimized by the institution and its professionals, which are hardly beatable. However, Rafael’s family, embarked on a process of Action Research in collaboration with other education professionals, began to fight for the commitment to teaching and the recognition of student learning. This is the power of this research: critical analyses were born from the experiences of one of the most oppressed groups (disabled people), which have been rigorously recorded and evidenced. From an inclusive, engaged and radical perspective, the text presents a solid counter-hegemonic potential, endorsed by subsequent events, including the perspective of the family: Rafael passed his compulsory secondary education, the equivalent of the English Baccalaureate and his Elementary and Professional Grades of Music (ten years). He obtained the Gold Medal of Merit in Education of Andalusia and, recently, the World Down Syndrome Day Award (by Down Syndrome International). He was admitted to the prestigious Academy of Orchestral Studies Barenboim-Said, has been sponsored by Yamaha, the international brand of musical instruments and he is currently studying for a Higher Degree in Music, Rafael has nothing else to prove. Today he is a living argument that challenges many of the usual school practices and urges us to rethink the commitment of educators in stimulating the participation of the entire school community, in promoting student autonomy and the recognition of others in their human and social rights. 3.3 A critique of the current role of diagnosis: legitimising exclusion or promoting inclusion?